December was a rollercoaster and a half, and it was the best Christmas ever! 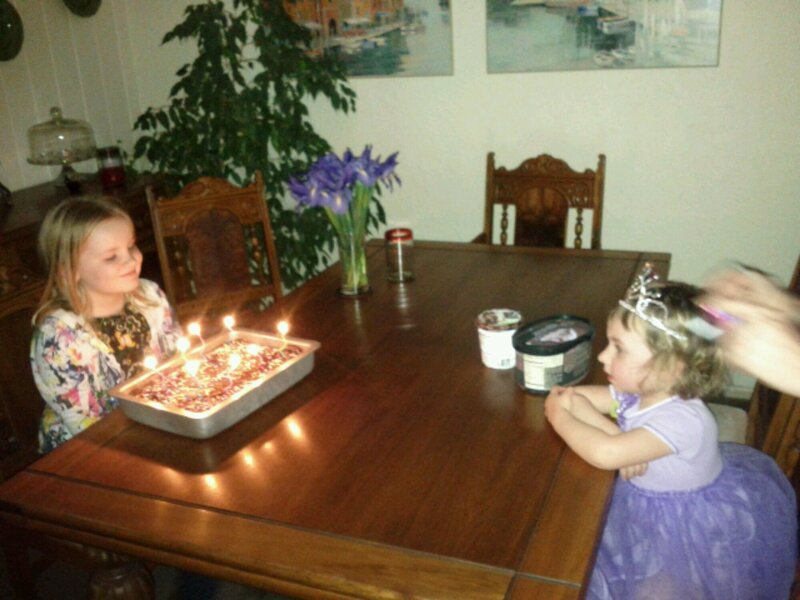 We did all kinds of things to celebrate with our big family and our little family. 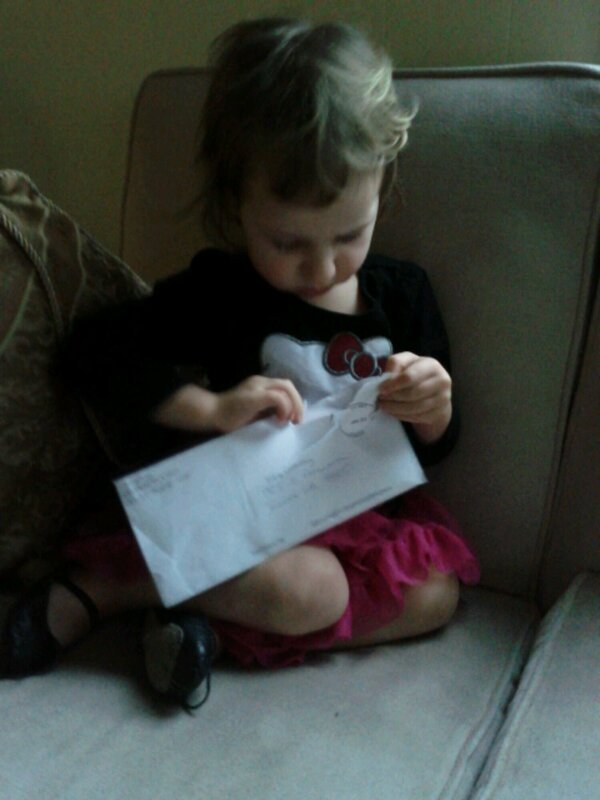 The season kicked off when a package arrived from Poppy and Mimee. We read the book, with text from the Luke Christmas account and illustrations from Renaissance triptych paintings, at least a hundred times. 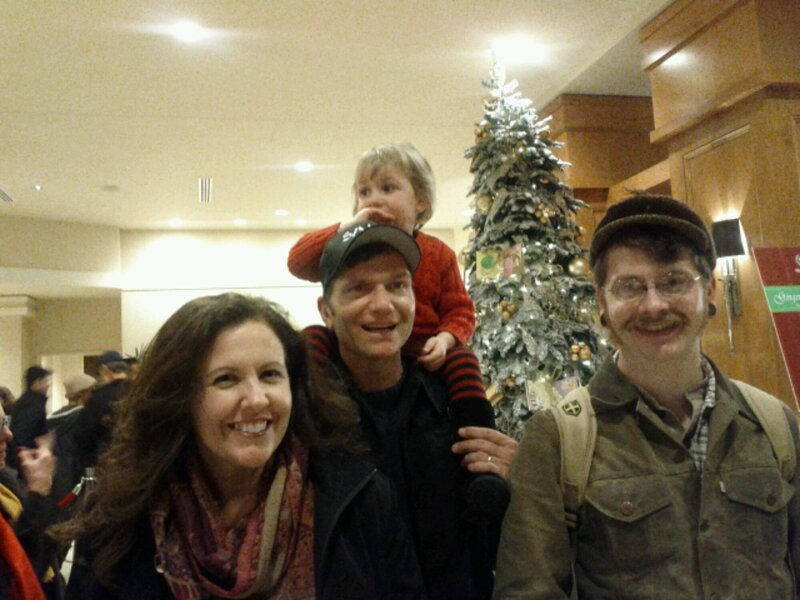 The first thing we did to celebrate was ride the bus up to Seattle one evening halfway through December. We met Mimee and Poppy there for a carousel ride and the Gingerbread House Competition. 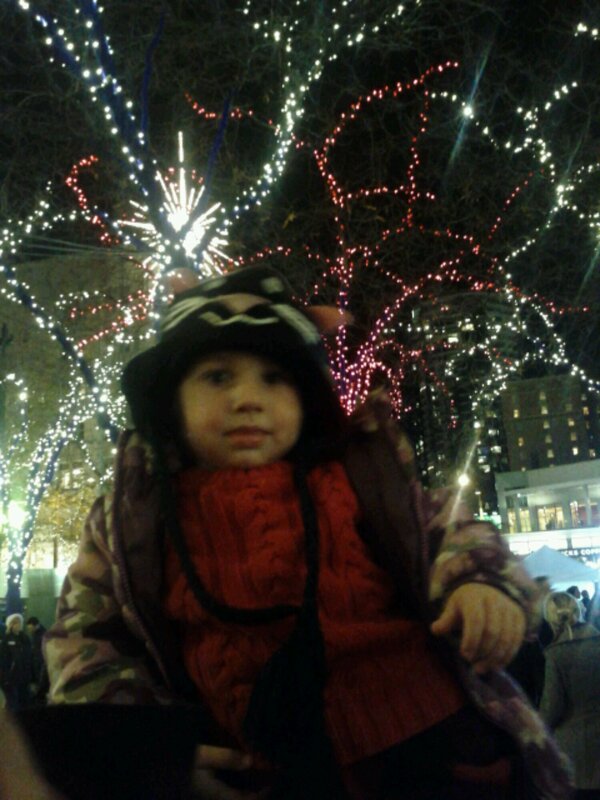 The city was decorated so beautifully, with thousands of lights all around. After dinner in Wearable Center, we visited the gingerbread in a nearby hotel lobby. It was a long long line and we decided next year, let’s come in the day time to escape the crowd. But it was interesting to see the gingerbread sculptures, which were designed by high level Seattle architects and included lights and motors in their elaborate designs. Edie liked the ship, apparently the third to come sailing in on Christmas day in the morning. She sang us the song. The next morning we celebrated Sankta Lucia day. Edie did not wear candles on hear head but she really got into the spirit with passing out buns to the family and helping set the table. We had not done Sankta Lucia day before, and our celebration was pretty interpretive, but it was a fun way to amp up the holiday cheer with some practice sharing and giving to others. 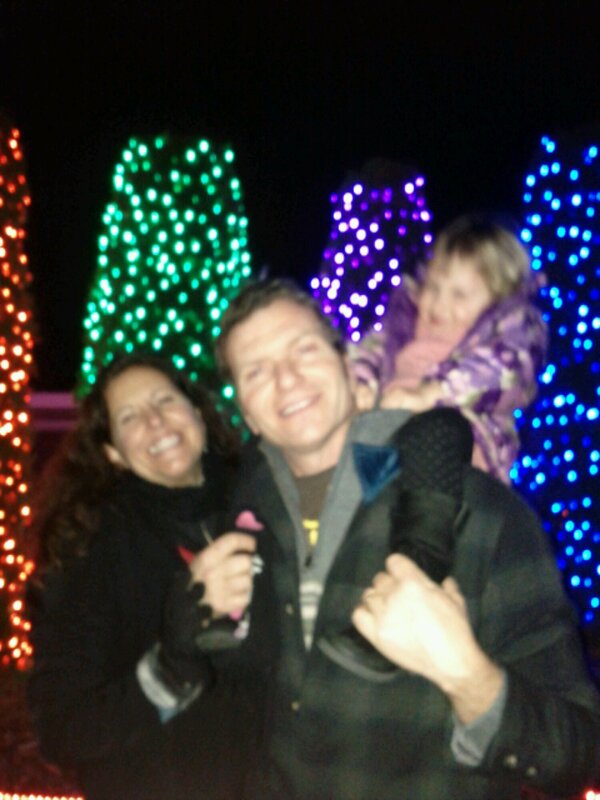 At night, we met up with the whole big crew, including Auntie, Iris, Grandma, Grandpa, and Uncle Matt, to visit Point Defiance Zoo and Aquarium for ZooLights. It was another first time event for us, and it was spectacular. We ogled at the giant octopus crawling over the aquarium, and at a Mountain Ranier which was right about life-size from our perspective. Riding the school bus which served as a parking shuttle was another highlight. On Christmas Eve, we had a super yummy dinner at Grandma and Grandpa’s house, and after opening our wonderful presents, we rode over together to the candlelight service at the First Presbyterian Church. There, we heard beautiful music, including some in which Grandma sang and played guitar. 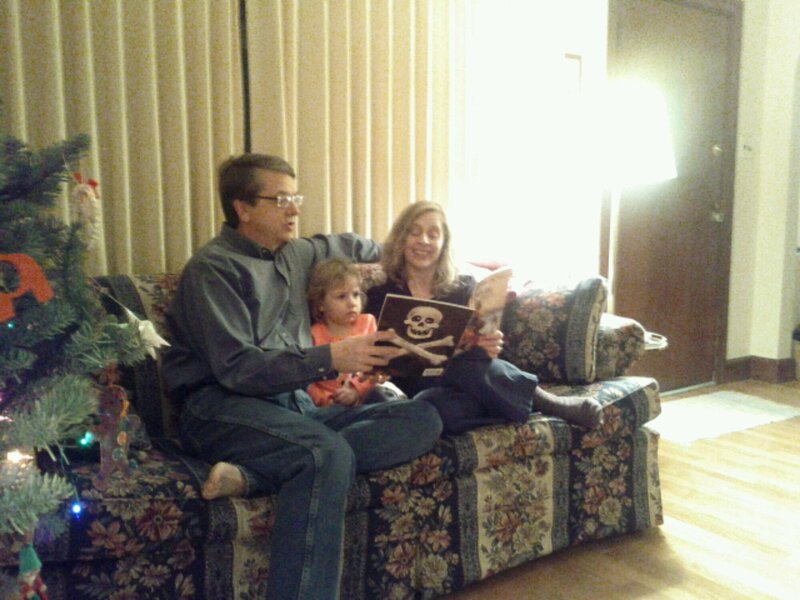 A whole candy cane later, it was a little hard to focus, but fortunately Grandpa was available for a little break with Edie. The candle lighting at the end was beautiful and fascinating, so Edie ended the service on a good note. After a little pie, we flew over to Bremerton to crash. 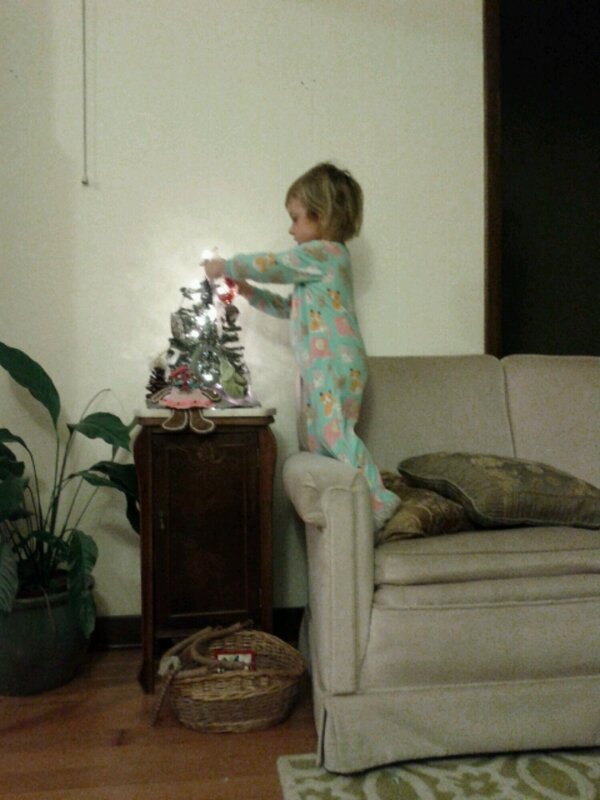 This is Edie’s Christmas tree, which she decorated all by herself. 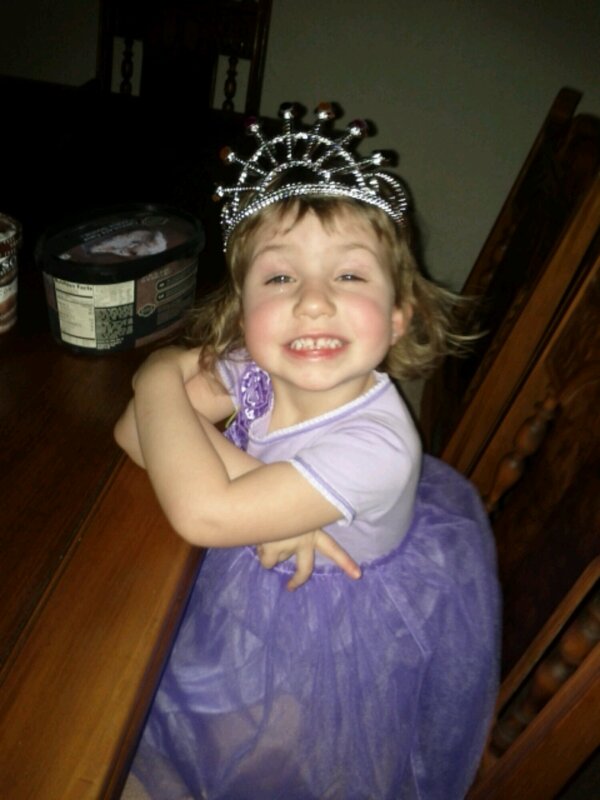 Christmas morning was a crazy party, as usual, and being Two And A Half, Edie was partying like never before. She was delighted and a little overstimulated with the display of toys, but her true colors came out when she started unwrapping the clothes. She ooood and awed and sang little songs about every dress she received. When ever a new batch of clothes emerged, she whisked off to produce a fashion show. Classic Christmas headspin appeared when Iris opened a dress; Edie spotted the sparkles from across the room, and kidnapped the garment at high speed. 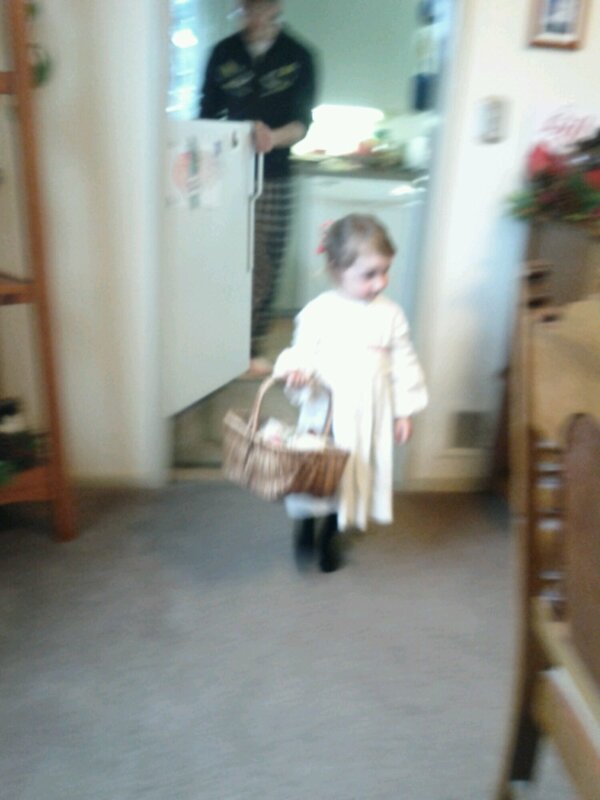 Other than that little escapade, Edie had a lovely time honoring Jesus’ birthday with both giving and receiving. Since then, our house has been a constant barnyard baby tea party, always served by a princess ballerina in a Hello Kitty Tutu gown. Thank you so much to all the family, near and far away, who helped make the season special with your gifts and time. 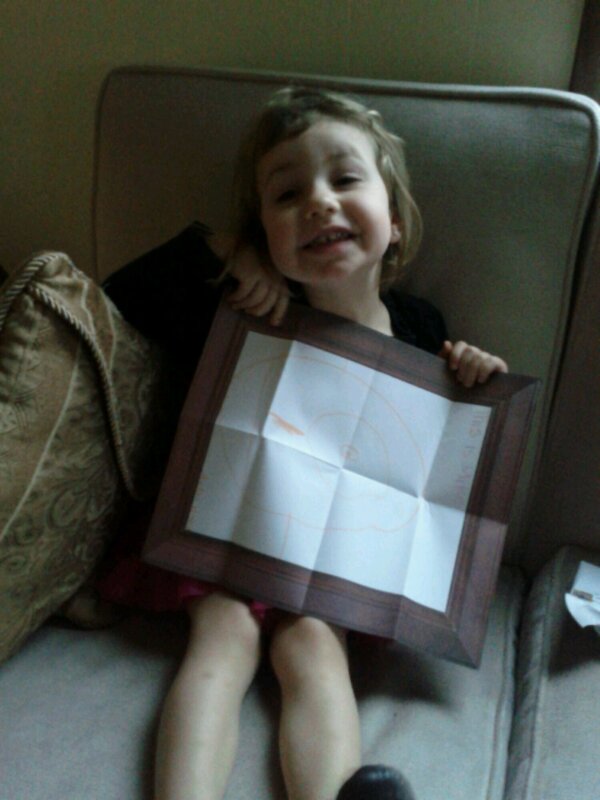 We hope you are enjoying the things we made or picked out for you! Here are some funny things we did early this winter. 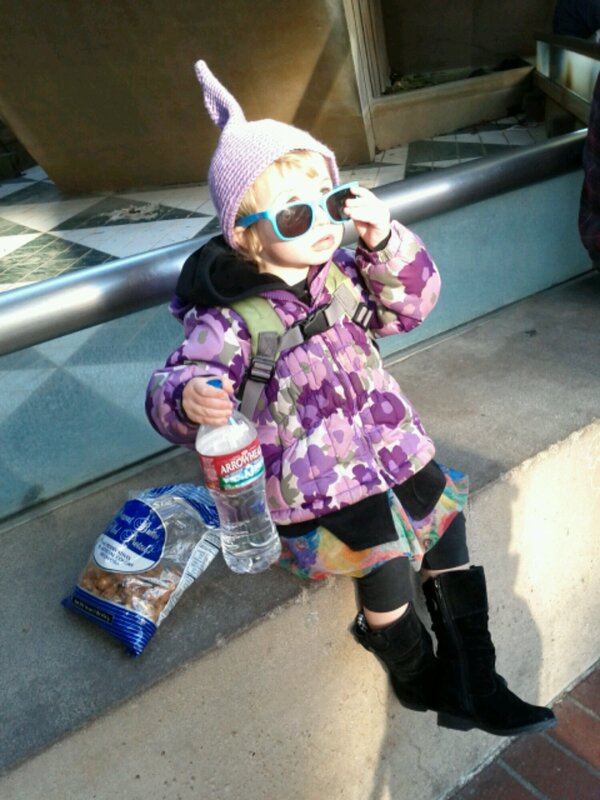 One day Edie walked the whole way to the Children’s Museum down town. Its one mile, two miles, two miles and a half. 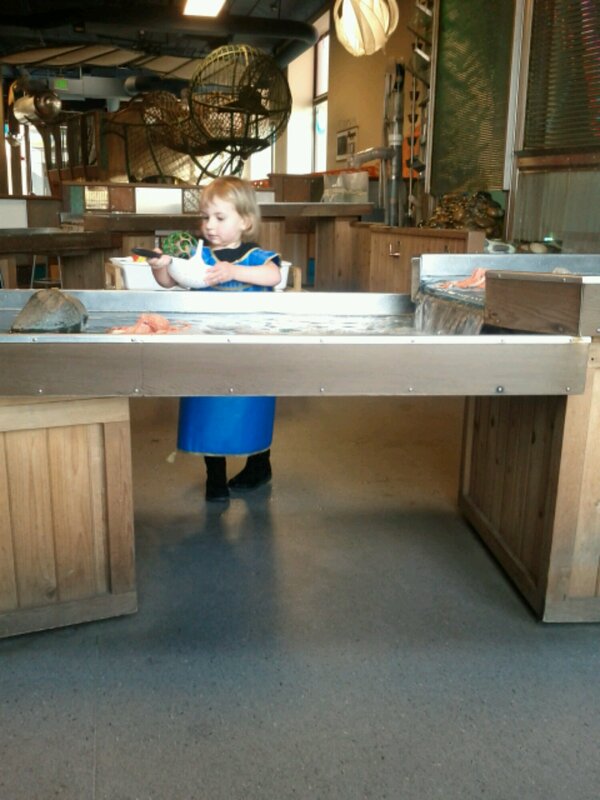 She used the water table for a long time, experimenting with the flowing river, rocks, and animal toys. Later in the studio, she did a fabulous ribbon dance to friends’ exotic autoharp music. Her hips rotated like a slo-mo hula hoop. I almost fell off my rug. When our adventure was over, we had the good luck of catching a bus home. Edie’s legs are strong for a nice long walk down the hill, but after playing out, an uphill walk home was not appealing. This is a bath with a little acrylic blue in it for extra Arctic appeal. It only takes a smudge to get this color, and we added lots of oatmeal so it was a bit opaque as well. 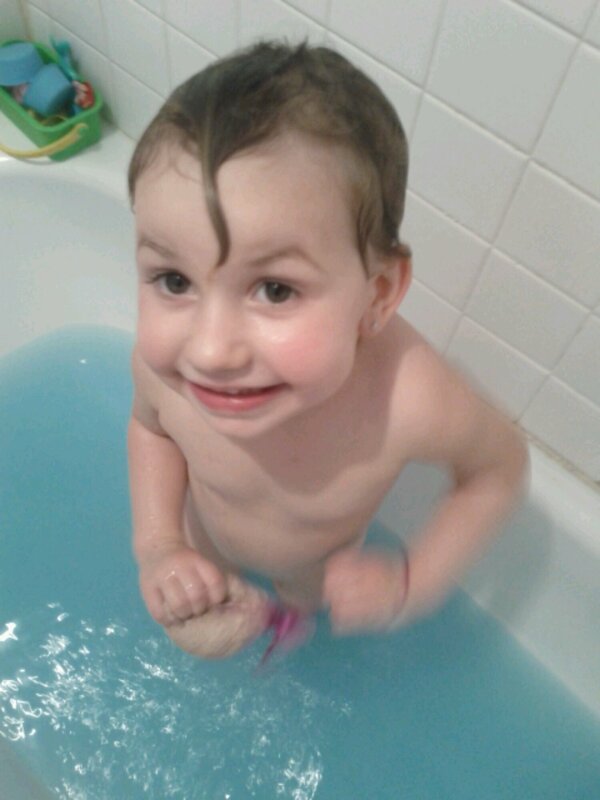 Edie swirled the water around to find the toys and swam on her belly for a long time, telling these hilarious crazy mermaid stories. 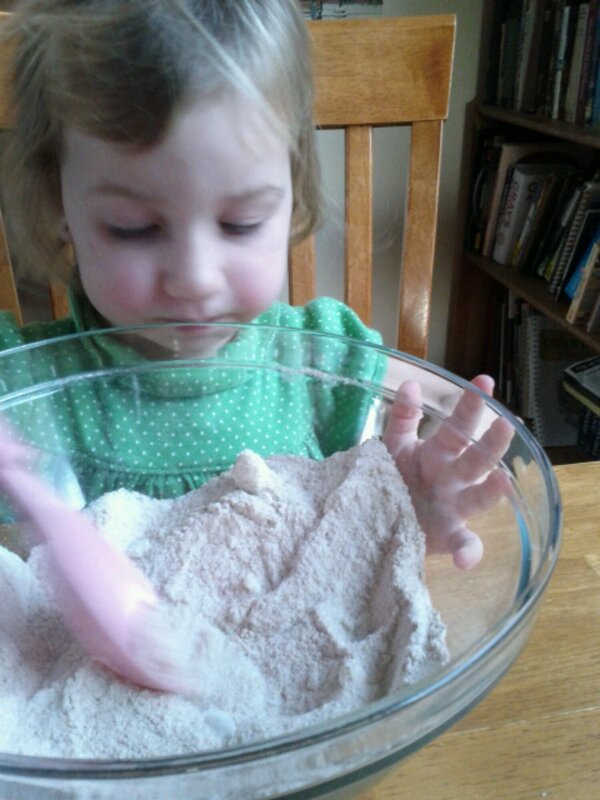 One day we made some salt dough. It was kind of a disaster. It was pretty exciting to stir it up and mix the color in, but it turns out whole wheat dough really does make a difference. We added some gluten and it turned out all right, but when we baked the pieces they salinated like an ancient desert and the pretty colors were not visible. Oh well, it was funny for the time being. We also had one perfect snow day so far this winter. About an inch fell in the night and it stayed cool and clear until about nap time when it melted. 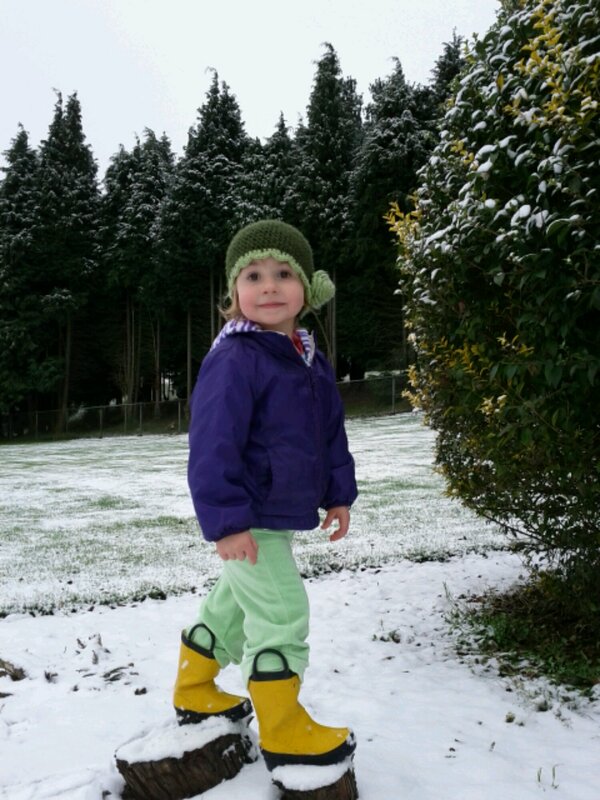 Edie took the opportunity to jump out in the snow, all bundled up. We made a tiny snow man and threw tiny snow balls and laughed our heads off, as usual.